Prior posts on this blog have dealt with the legal issues regarding partition of property. To summarize, a partition action may be brought when a property has two or more owners, and the owners are unable to agree on the disposition of the property. One owner may wish to sell the property to a third party, and another owner may wish to retain the property. Often, one or more of the co-owners may live at the property in question. Another possibility is that none of the owners live at the property, and are renting the premises to a third party who is not a property owner. This blog post will explore the legal issues regarding tenants and occupancy of a property which may be subject to partition. The first issue to be examined is where one or more of the owners lives at the property in question. Legally, any owner of the property is entitled to reside at the property if the property is residential in nature. For example, let’s assume a property owner passes away and leaves her house to her three children, each to own a one-third (1/3) share of the property. Under this scenario, any or all of the three children may reside at the house in question. None of the three new owners has a legal right to exclude the others from residing at the property. Of course, this can create problems in a scenario where one owner resides at the property, and the other owners do not. Since the non-resident owners do not have a legal right to evict the owner residing at the property, their main recourse would be a partition action to sell the property to a third party. The second issue is where a property subject to partition may have tenants who do not have an ownership share. In such a situation, the terms of the tenancy must be carefully examined to determine the correct course of action. 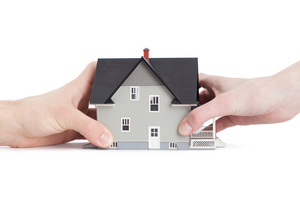 If the tenants have a valid lease, any transfer of the property would have to be subject to their tenancy. Take the situation described in the prior paragraph, where there are three co-owners of a house. The house is rented to tenants, who are given a three year lease. As a result, any transfer of the property would have to be subject to the continued tenancy of the tenants for the next three years. An alternative situation would occur where the tenants have a lease, but the lease has expired. If the tenants refuse to voluntarily vacate the property, a holdover action, separate from the partition action, would have to be brought in the appropriate legal forum, usually the landlord-tenant court in the town or city in which the property is located. Most transfers of property require the property to be free and clear of all tenants. Therefore, it is important to establish the legal status of any tenants if a partition action is brought. It may also occur that one co-owner wishes to buy out the others, but does not want the tenants to remain at the property, because they intend to reside at the premises themselves or sell the property when vacant. In such a situation, the parties selling their shares may have to agree to take responsibility for evicting the tenants prior to transferring their interest in the property. Legal counsel should be retained to examine any leases pertaining to the property, and to determine the correct legal course of action to follow. The property owners may decide to commence a landlord-tenant action prior to any partition action. Our firm has handled many partition actions, and welcomes all inquiries in this area, including situations where there are co-owners or tenants residing at the property.